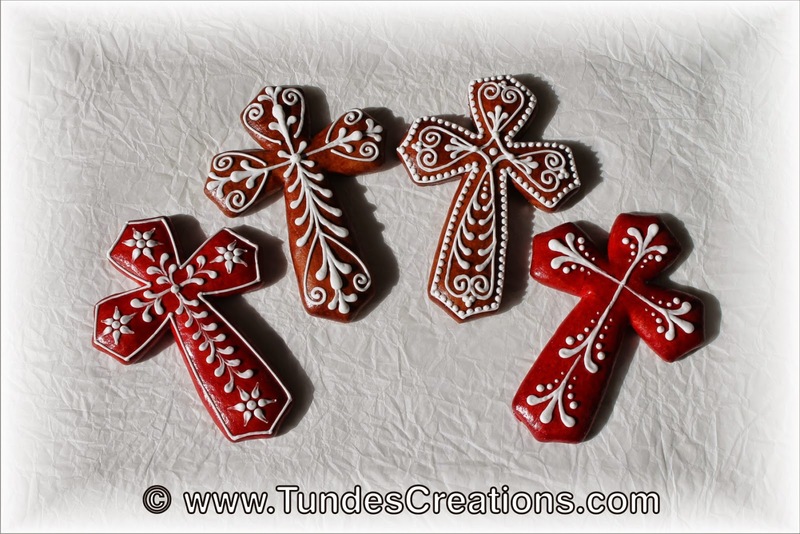 A few months ago a lady asked me to create some cross cookies that she could frame. I did not have any cross cutter bigger than 3", so I hand cut these crosses for her. They are about 6" which I think is a nice size for decoration. Then I started to rethink the cross theme and I wanted a little fancier shape. I looked around and found some 5 inch size cutters, but I was not really happy with their shape. 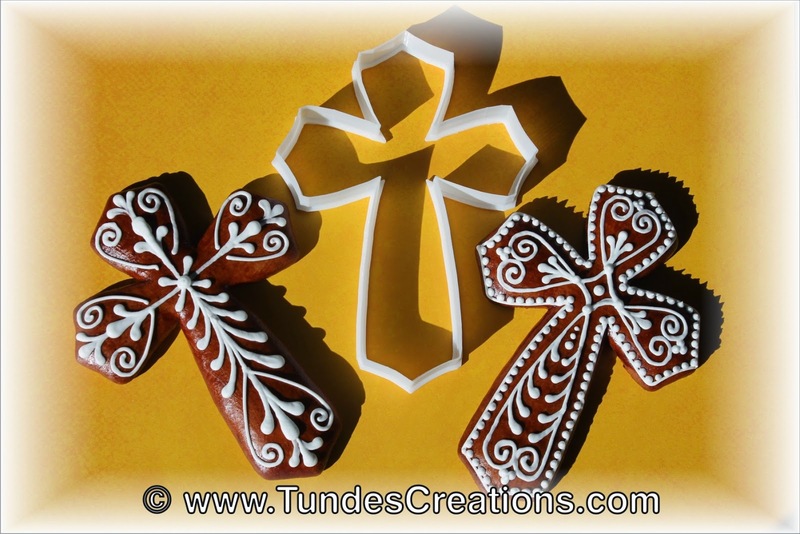 So, with the help of my friends at Cookie Cutter Kingdom I designed my own cross cutter. It's a simple design, but elegant. 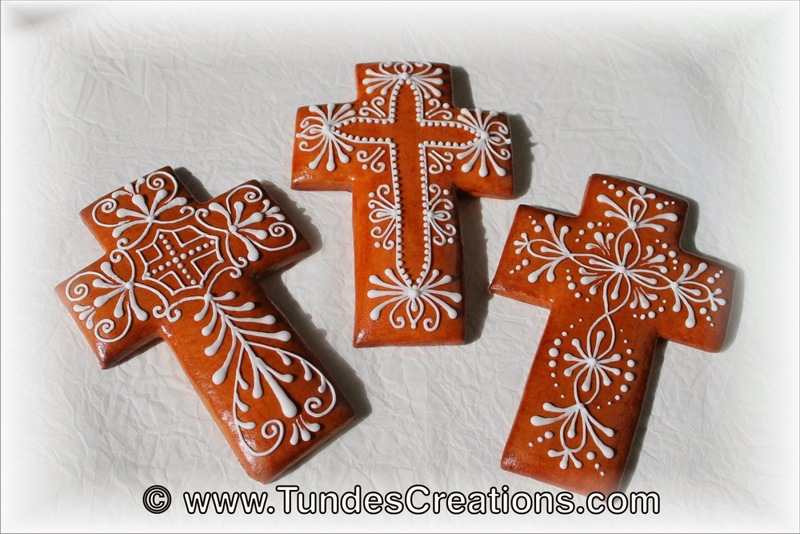 These are cookies colored with egg yolk glaze and decorated with white royal icing. 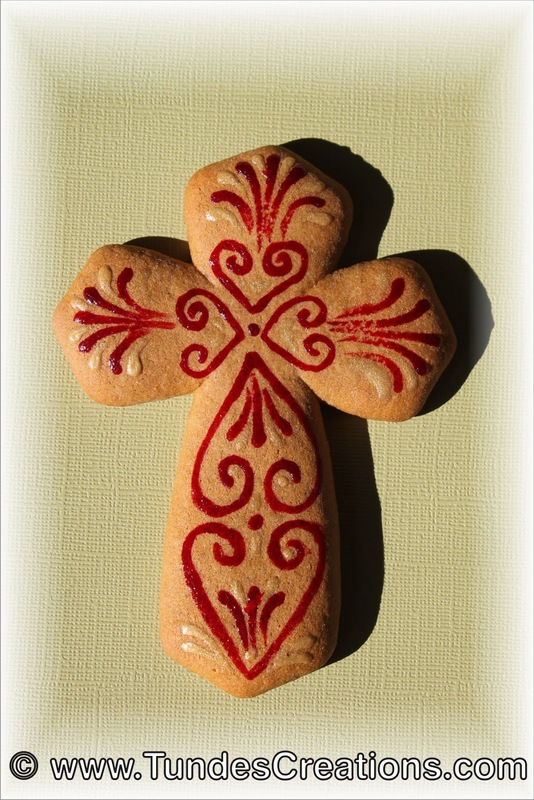 And a play cookie from the end of the day: the bare cookie painted with red and gold. 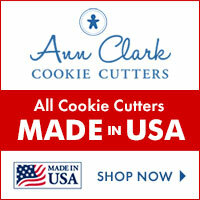 Here is my gorgeous new cookie cutter with the cookies made with it. If you would like one for yourself go to the shop of Cookie Cutter Kingdom and use coupon code FRIENDSOFTUNDE to get 10% OFF.